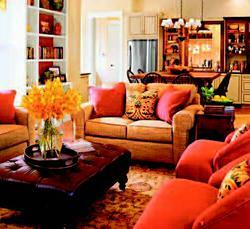 Staging Your Home To Sell? Clients selling their home love the “staging” process. It’s when we bring in an expert to literally put your best house forward with minimal changes. Whether it’s rearranging some seating, adding flowering pots to your front stoop or grouping family photos on a coffee table, a design expert can take your home and make it sparkle. 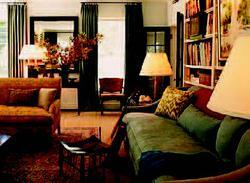 Simplify your interior with a harmony of color and natural elements to create a warm and autumn inspired feel. Think: cozy, natural and modest. Simple and effective elements produce the atmosphere you want. Linking your main level with color and texture creates continuity and allows you to easily switch and swap furniture and décor when you want a “new look” without spending a dime. 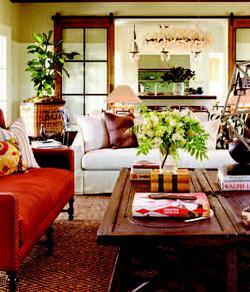 Recessed lighting is necessary and practical but adding lamps softens the touch. Consider placing a lamp inside or near a window. Nothing beckons like a welcoming light. First impressions speak. 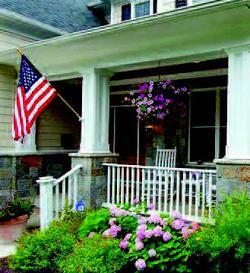 Make it pleasing with curb appeal.